You may recognize the Shetland Sheepdog by his nickname – “Sheltie” – or by his appearance. The Sheltie is, essentially, a smaller version of the famous Collie, Lassie. In fact, the Shetland Sheepdog is the Collie's cousin. The stunning coat of the Shetland Sheepdog is nothing short of jaw-dropping. It can come in a variety of colors, including sable, blue merle, and black. The Shetland Sheepdog has a long history of enjoying serving his master. This is because his ancestors were known for their work with farmers in Scotland. There, they would chase hungry animals out of their masters' gardens and herd farm animals when necessary. Today, the Shetland Sheepdog is just as well known for his wonderful temperament as he is for his high-pitched bark. Shetland Sheepdogs have a personality to match their diva-like appearance. They're intelligent dogs, but they can also be a bit stubborn. They also have a lot of energy. This makes them one of those breeds that need to be run, not walked, to help them expend their energy. One look at this dog tells you all you need to know how often he should be groomed: regularly. The Shetland Sheepdog has a double coat, and it sheds. A lot. You must brush the Sheltie's coat weekly, at a minimum. During shedding season, you'll want to brush him more regularly. This will save your carpet from becoming littered with hair and clogging up the vacuum cleaner. You will also want to make sure to check for “mats”, or clumped-up hair, in the areas where he may often put pressure. Such areas include his elbows, behind the ears, and under the tail. 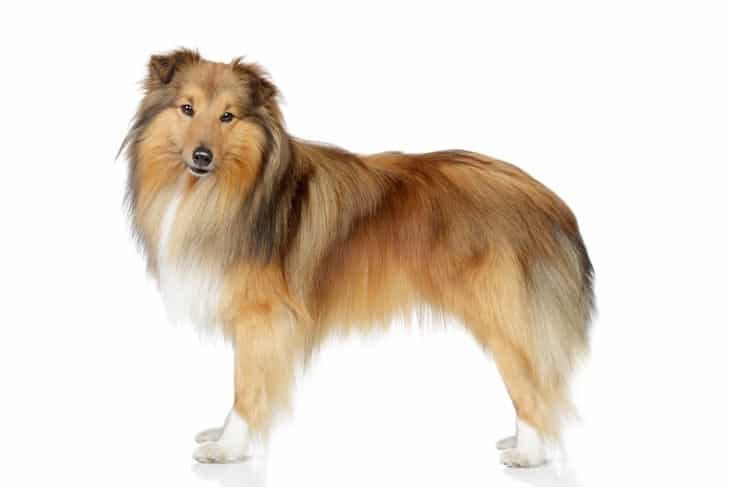 While he doesn't need to be bathed unless he's truly dirty, you should regularly tend to the Shetland Sheepdog's nails, as with any other breed. 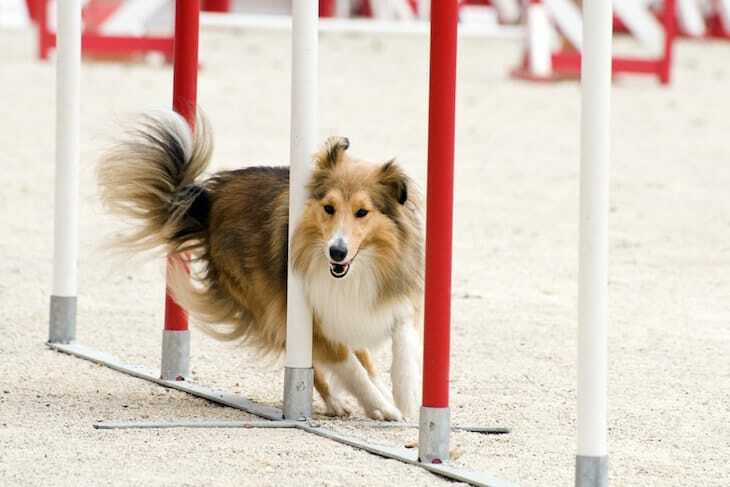 Numero uno when it comes to training a Shetland Sheepdog is to get that bark under control before you start getting calls from the neighbors. Not only is a Sheltie's bark high-pitched, but he once he gets going, it takes a while for him to finally let up. This can be great when he's trying to protect you from a perceived threat. Not so great is when you're trying to have a conversation with no threats present, and he just won't stop barking. Teach him the difference between good barking and bad barking. And barking can be a valuable tool that he uses out when he really needs it. What's good about the Sheltie is that he has a long history of working alongside his master. This makes him eager to please, intelligent, and a good listener. However, he can be a bit stubborn sometimes, so you must remain firm and consistent to keep him focused. Of course, like all dogs, most Shetland Sheepdogs are healthy. However, also like all dogs, they suffer from illnesses that can be more specific to their breed. Hypothyroidism – occurs when your dog isn't secreting sufficient thyroid hormones. Can lead to a plethora of problems. Additionally, Shelties can succumb to a condition known as “Collie eye anomaly.” This is a congenital condition that has the potential to cause blindness. Collie eye anomaly usually presents by the time the dog is two years of age. In most cases, both eyes will be affected, but not always at the same level of severity. There is no treatment for this condition, and most dogs will not go completely blind. However, those that do learn to rely more on their other senses and can get around just fine. The lifespan of a healthy Shetland Sheepdog averages between 12 and 14 years. He is typically between 13 and 16 inches tall and weighs between 14 and 27 lbs. 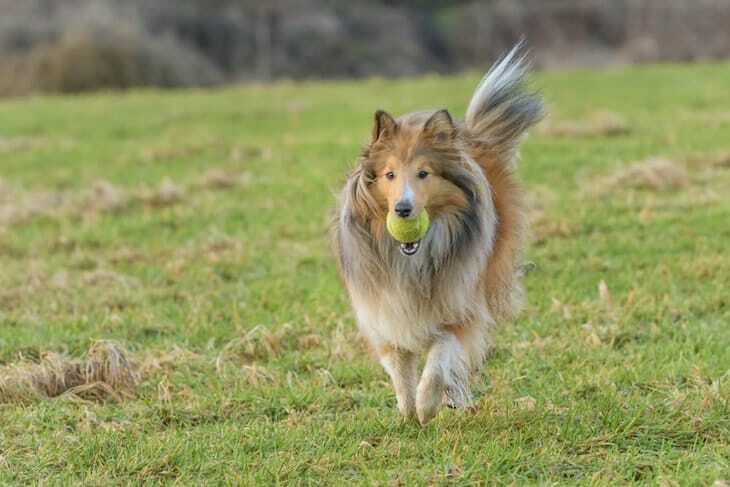 Because of their popularity as both a wonderful family dog and one of the more “beautiful” breeds, Shelties have become one of those breeds that are overbred. It is rare to see one of these dogs at a shelter, so if you are interested in buying a Sheltie, you will probably have to consult with a breeder. That being said, you want to make sure the breeder you use is reputable, as you could end up shelling out thousands of dollars for a puppy who has issues because of being inbred. One of the things you must confirm is that the puppy has been tested, and has passed all of his tests, as required by the American Shetland Sheepdog Association (ASSA). Typically, the breeder will be able to provide a certificate confirming the puppy's results. On average, you should expect to spend between $800 and $1,000 for a Sheltie puppy. The Shetland Sheepdog is an ideal family pet, and if you are a sucker for “beautiful” dogs, then this is the one for you. What's nice about a Sheltie is that he has all of the mannerisms of a Collie, only in a smaller size. Though, he may be a bit more high-strung than his mellower cousin. If you're interested in purchasing a Sheltie, make sure you vet the breeder first. Shelties are an in-demand breed, and a lot of breeders crank them out for money, rather than to produce a quality dog. Shelties are great with kids and good listeners, though you'll have to work with him to get his bark under control. Next post: The Swedish Vallhund – What’s So Special About This Dog Breed?